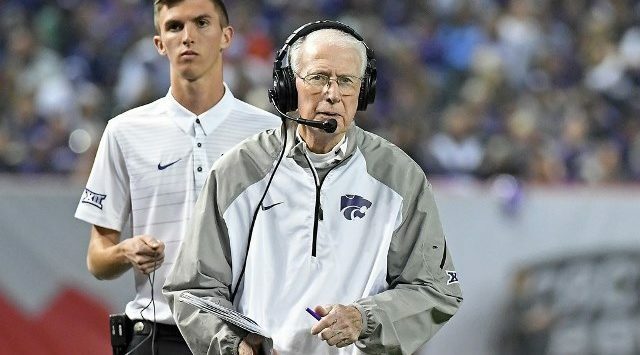 Kansas State head coach Bill Snyder met with members of the media Tuesday at the Vanier Family Football Complex to preview Saturday’s Big 12 home opener against 18th-ranked Texas. K-State is coming off a 35-6 loss to No. 12 West Virginia to open Big 12 play. KSU entertains Texas at 2:30 pm with coverage starting at 10:30 am on Sports Radio 1150 KSAL.